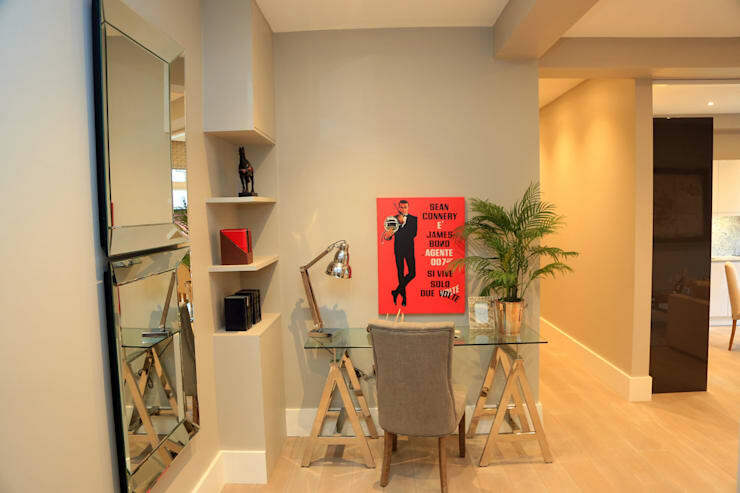 Here at homify we see a range of impressive, delightful and inspiring interiors. Sometimes, it can be tricky knowing where to begin with such a diverse range of gorgeous and swoon-worthy styles! If you’re looking for some interior ideas, you’ve certainly come to the right place. Today we’re going to be taking a look at 11 light and bright rooms, which we think are perfectly inspiring and motivating. From Nordic-esque kid’s bedrooms to minimalist kitchens, we’ve got something to suit all tastes and preferences. Are you ready to pick up a few tips and tricks? Read on below and let us know what you like below! 1. This wonderfully bright room boasts a beautiful attention to detail, along with roof lights to ensure it's always bright and inviting. 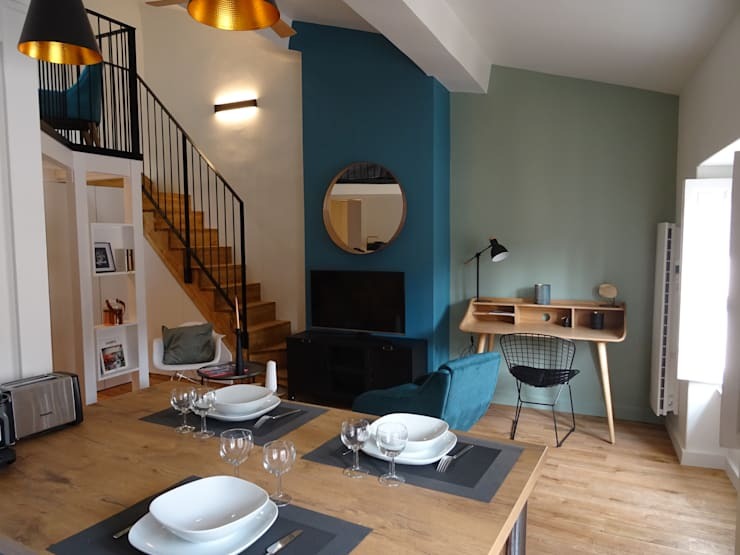 If you like this living/dining room/kitchen and would like to emulate it in your own abode, why not chat with an expert? 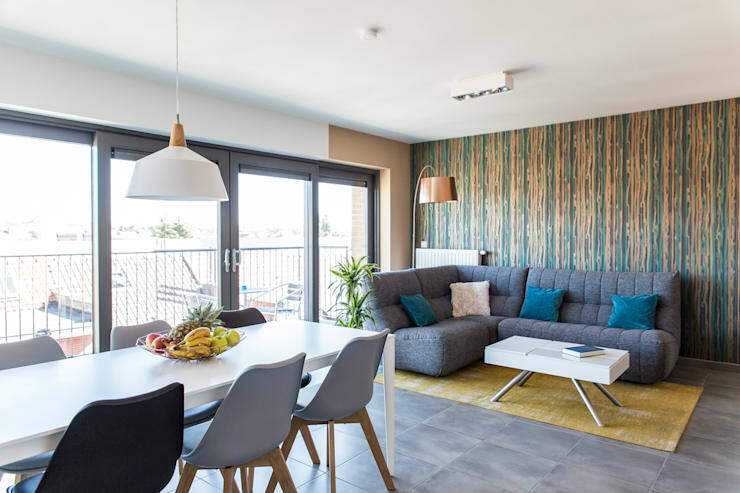 We have plenty here at homify. Find one here. 2. 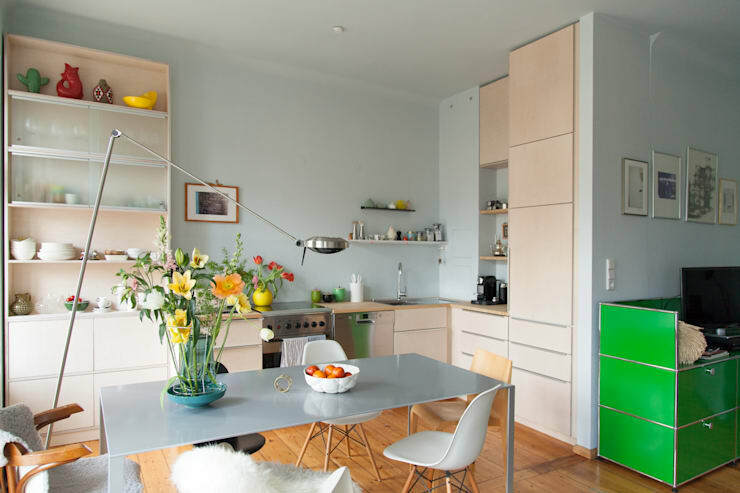 Oozing Scandinavian style, this next space is light and bright thanks to its pastel hues and eye-catching primary coloured features. 3. For simple and chic sophistication, this colourful room utilises dusty hues to evoke a sense of class and retro timelessness. 4. If your room is lacking light, you can always boost its ambience with wall-mounted mirrors, reflective furniture and some indoor plants! 5. 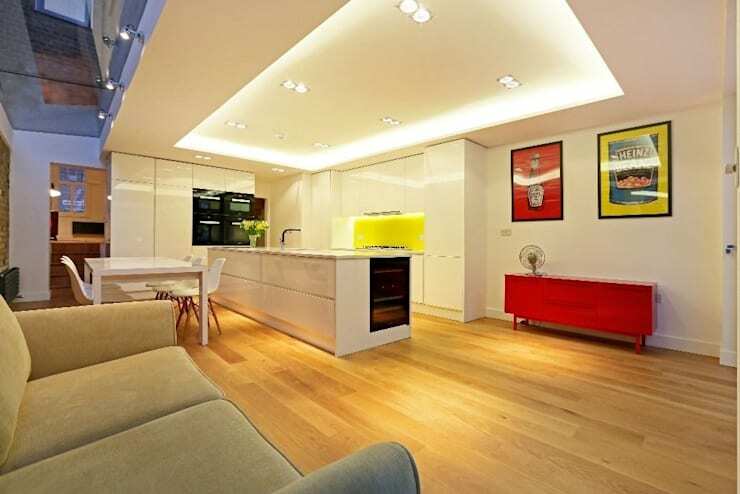 A false ceiling is the perfect place to add artificial lighting. It'll be indirect, ambient and sure to impress. 6. 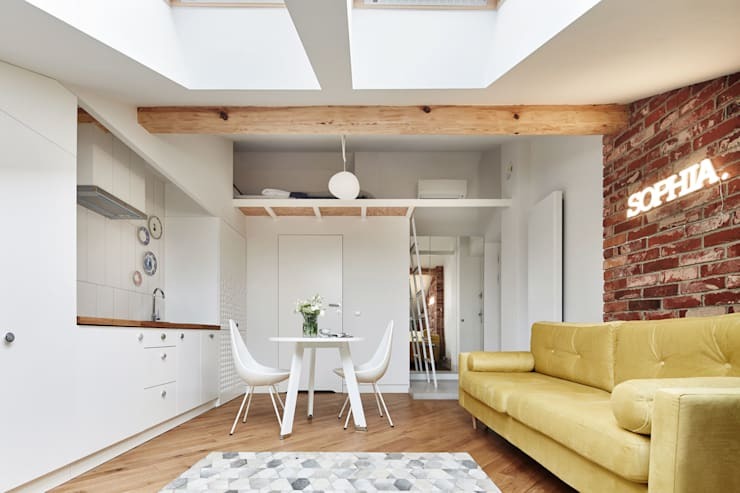 This compact apartment employs a loft level to add usable floor space to the home. 7. Do you like this light white kitchen? 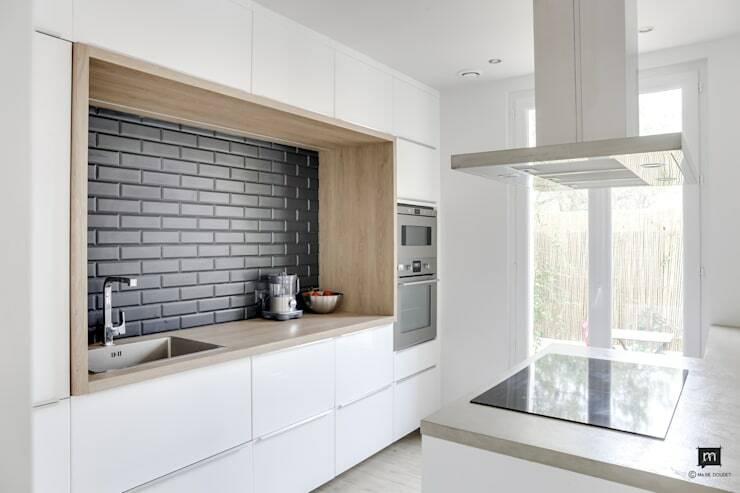 To keep things interesting the backsplash has been covered with subway style black tiles. 8. 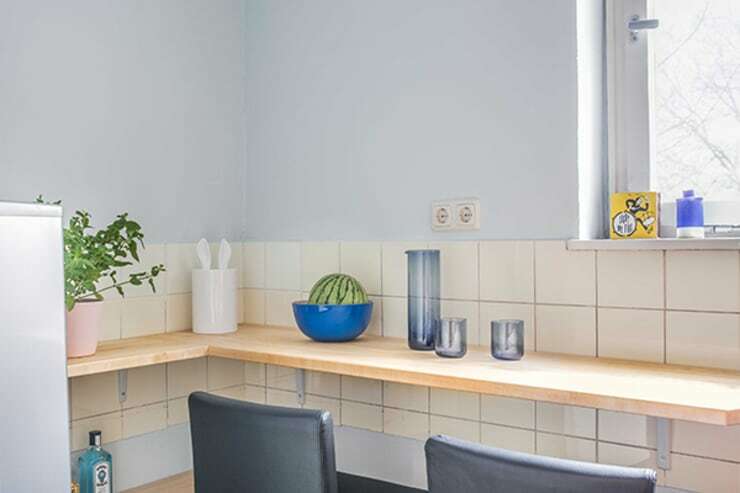 Making the most of space, this next area offer a bright idea for an awkward corner in your home. 9. 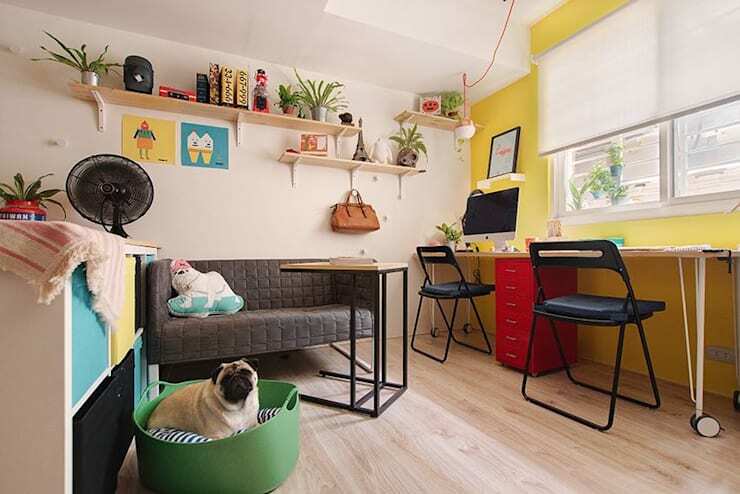 Do bright primary colours ever go astray in a compact multi-purpose room? This pug doesn't think so! The lively living area is sure to provide a few ideas, tips and tricks. 10. Let's not forget the kid's room… this light-filled space employs a hanging chair and gorgeous pastel hues that keep the overall scheme serene and charming. 11. Sometimes to feel light, you need to employ a darker hue. 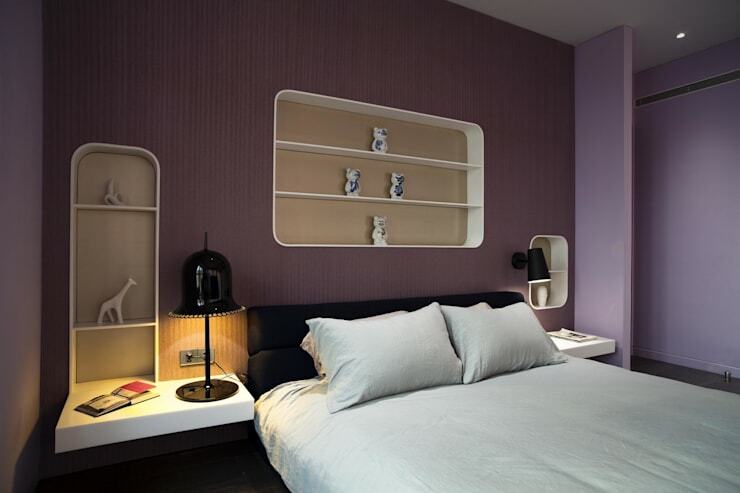 This bedroom is a great example, with built in shelving to save space, as well as a rich lilac wall shade. Which room is your favourite? Let us know in the comments below!